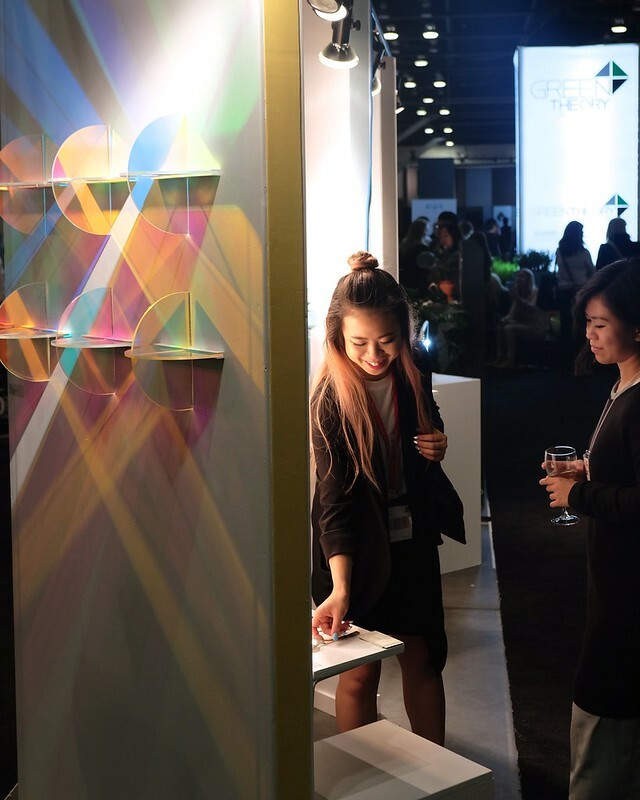 Waterfront—(September 22 to 25, 2016) The twelfth annual IDS Vancouver (formerly IDSwest) interior design show expanded its programming this year attracting designers and decorators of all sorts looking for a window into the latest and hottest design trends. 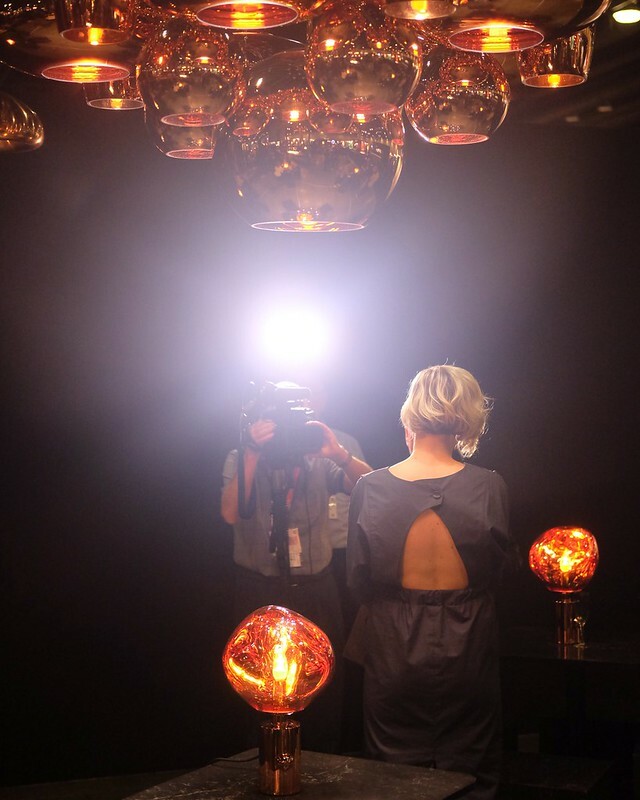 The Vancouver Convention Centre West was filled with big name talent (including headliner, British industrial designer Tom Dixon) and ornately decorated attractions inspiring attendees steel reeling from the recent west coast design boom. 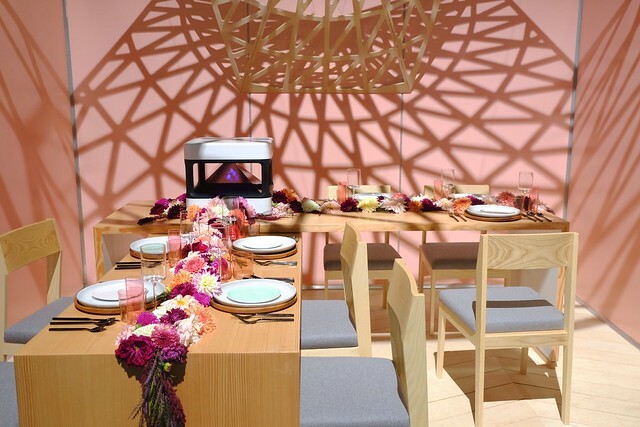 The interior design show attracted 36,000 guests who came to see 275 decorators, exhibitors, speakers, and installations. 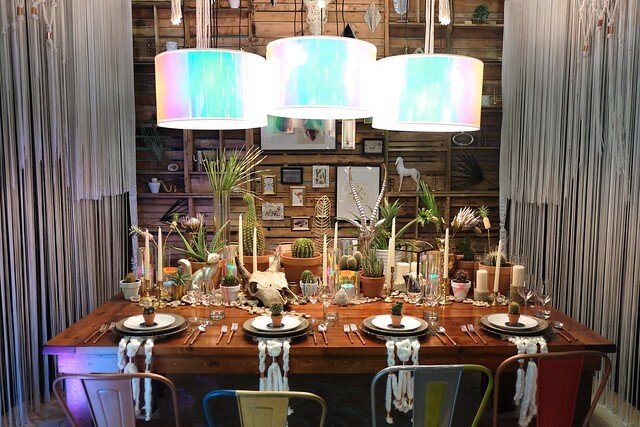 "Joshua" desert themed natural tablescape from Filosophi Event Design and Bold Event Creative on display for Dinner by Design. "We’re So Good Together" organic tablescape from Kabuni designer Ryleah Resler. 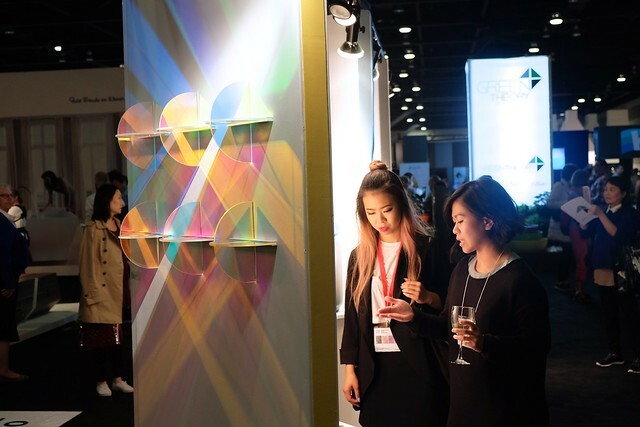 "Chroma" prismatic shelf prototype (made from acrylic, dichroic film, aluminum, and paint) by digital artist Annie Tung.